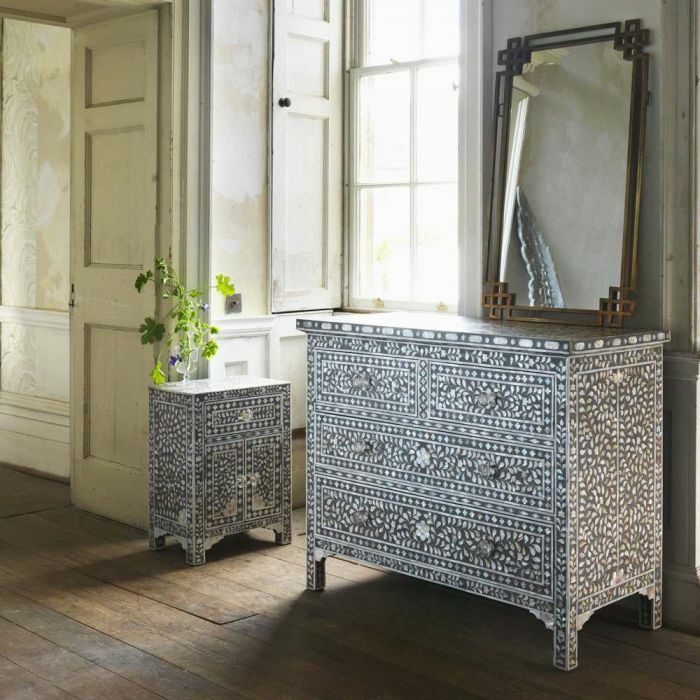 The Mother of Pearl inlay collection is a Graham &Green signature range and is offered in a variety of colours, designs and styles. 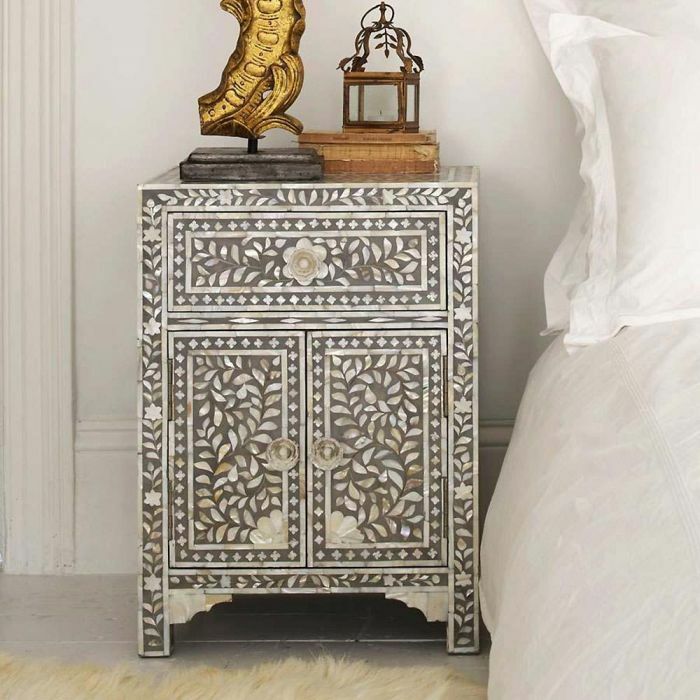 Each piece is exquisitely handcrafted over many weeks using techniques passed down through generations, the Mother of Pearl furniture range has been expertly created by skilled artisans in Udaipur, India. Individual pieces of mother of pearl have been skillfully carved and fixed into resin on a wooden frame to create these intricate designs. Handcrafted with individual pieces of mother or peal carved and fixed into grey resin. Stood alone or as part of the collection, this furniture is destined to stand the test of time with grace. 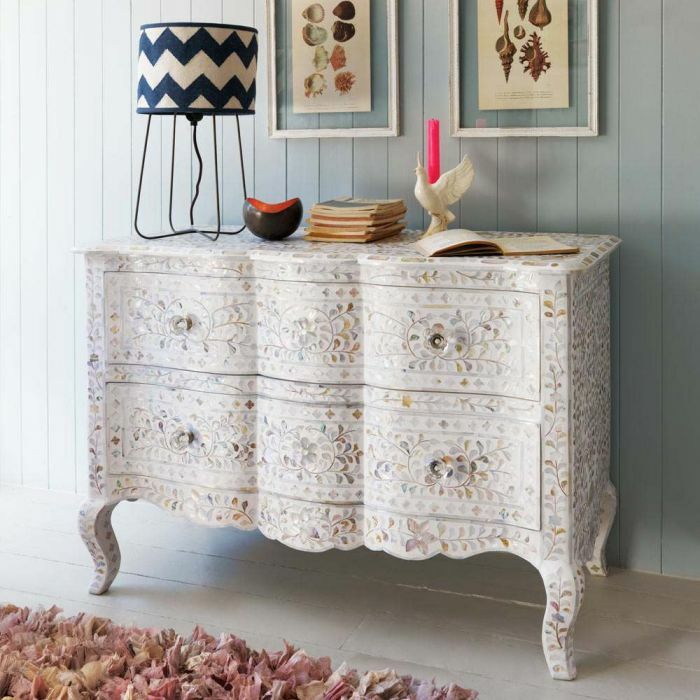 Beautifully handcrafted in India, this French Renaissance style white Mother of Pearl chest of drawers with elegant curves takes a team of skilled craftsmen many weeks to complete. 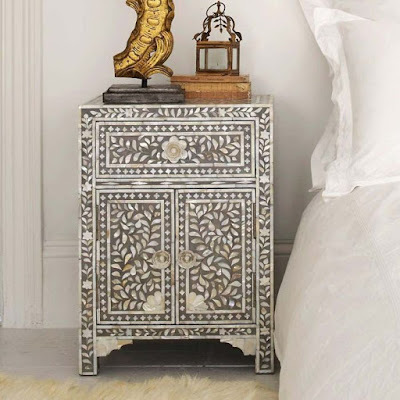 Our wonderfully whimsical Maxi grey floral Mother of Pearl bedside table is designed exclusively by Jamie Graham and is destined for stardom. 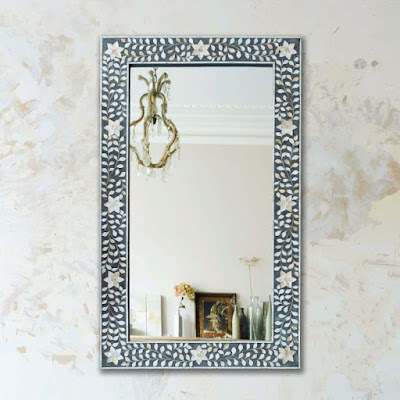 A beautiful ornate Mother of Pearl framed mirror with a floral pattern. 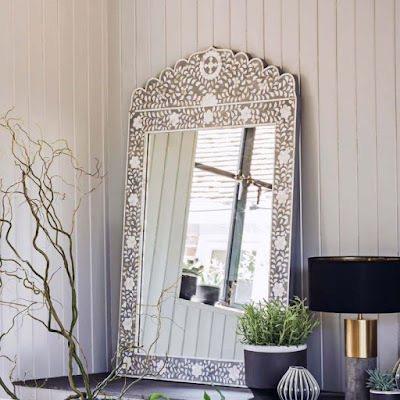 Set on a wooden back, Mother of Pearl is skilfully hand cut into a beautiful leaf and floral design before being inlaid into grey resin, on a scalloped crown mirror. Each mirror is hand crafted in India and each piece takes a team of skilled craftsmen a week to complete.